Preferred stock is one of the many types of high yield stocks that many income investors are increasingly turning to with interest rates remaining near historic lows. There are a number of differences between preferred shares and common dividend stocks, as well as bonds. However, many preferred stocks offer higher yields and solid income security, making them a potentially appealing choice for retirement income. Let’s take a closer look at preferred shares to help you determine if preferred stock could be an appropriate part of your conservative dividend portfolio. At the end of the day, debt and equity markets exist to provide companies with access to capital to help them meet their financial needs. This financing creates what is known as a capital stack, which is the priority an investment has in terms of claims on a company’s assets (i.e. if a company were to be dissolved, certain capital providers would be paid ahead of others). As you can see, debt takes precedent over all forms of equity (i.e. stock owned by investors), while preferred shares take precedence over common shares (i.e. what most people buy and think of as “stock”). Due to their lower rank in the capital stack, preferred stock generally offers higher yields compared to most equities and fixed income securities. But what exactly is “preferred stock?” Simply put, preferred shares are a form of equity that a company issues (typically at $25 per share, known as par value) in order to raise capital without increasing its debt leverage. For example, say a company has already taken on a lot of debt and is worried that borrowing more will cause credit rating agencies to downgrade its bonds, which will raise its borrowing costs. By issuing preferred stock, which has a fixed dividend that must be paid before common share dividends, the company can raise capital while lowering its debt / equity ratio and preserving its credit rating. In addition, preferred stock can help a company maintain its share price. If a company raises capital by issuing (i.e. creating and selling) new common shares, then existing investors are diluted and the share price generally falls. That’s because in order to sell new shares a company generally needs to offer newly issued shares (what’s known as a secondary offering) at a discount to the current share price. However, because preferred shares trade separately from common shares, preferred stock offerings generally don’t cause the common share price to decrease. Now that we understand why companies issue preferred stock, let’s take a look at why income investors might want to potentially own this class of shares. To gain a better understanding, we need to learn how preferred and common shares differ. The table below summarizes the key differences between preferred stock and common stock. Common shares are a stake in a company and represent a fraction of a company’s current and future earnings and cash flows. For dividend growth investors, this means the current and future income stream. Common stock generally comes with voting rights and has historically appreciated the most over long periods of time, as a company’s earnings, free cash flow, and dividends experience growth. Preferred shares on the other hand, are a kind of debt/equity hybrid investment. They usually don’t have any voting rights and are issued with a stated dividend that usually doesn’t increase over time, which is similar to a bond’s coupon (interest rate). Note that there is a special kind of preferred share called an Adjustable-Rate Preferred Share (ARPs) whose dividend is floating and generally tied to a set benchmark, such as the yield on Treasury bills. In addition, there are convertible preferred shares, which generally offer lower yields but have the option of being converted to common shares (and take advantage of capital gains) after a certain date. Since a preferred dividend generally doesn’t grow, the yield on preferred shares when they are issued is generally higher than the common stock’s yield, in order to make up for a lack of dividend growth. Furthermore, like common stock, preferred shares are generally more volatile than bonds in terms of how much their prices fluctuate. As a result, investors can sometimes buy them at a significant discount, and thus a higher yield than when they were issued. However, because of their fixed dividends, as well as the fact that some preferred shares are cumulative, preferred shares generally aren’t as volatile as common shares. In other words, preferred shares can (but not always) offer lower income risk than common shares, which can cut or suspend their dividends at any times. This makes preferred shares less risky because it’s easier to calculate their fair value (par value + future scheduled dividends until maturity). However, this brings up another important difference between common shares and preferred stock. Most preferred stock, like bonds, has a maturity date after which the company has the right (but not the obligation) to buy back shares at par value (the initial issuing price). In other words, while common shares are perpetual, preferred stock usually isn’t. This factor creates its own pros and cons. For example, it makes calculating a preferred shares fair value and future return easier, and thus creates lower volatility. However, as dividend investors know, volatility can be a great ally if your time horizon is long enough. That’s especially true during times of market panic such as 2008-2009 when even the highest quality blue chip stocks such as dividend investor favorite Johnson & Johnson (JNJ) were trading at multi-year lows. JNJ has a AAA credit rating (higher than the U.S. Treasury) and has been paying rising dividends for more than 50 straight years. This makes JNJ a dividend king, and thanks to its low volatility (20% below that of the S&P 500), a reasonable core holding for those needing rock solid income, such as retirees. In other words, Johnson & Johnson can be thought of as a perpetual bond in some ways, except one that has a proven record of exponentially growing its coupon (dividend) over time. In addition, because the company has a proven track record of growth, its shares have returned nearly 12% per year since 1995. Simply put, Johnson & Johnson’s common shares have been an excellent wealth and income compounder over time. That’s because, if you had bought shares back in 1995, the current yield on invested capital (current dividend / cost basis), would be a stunning 18.0%. Even adjusting for inflation (62% over the past 22 years), shares of JNJ bought in 1995 yield 11.1% in constant currency terms. Since Johnson & Johnson has historically grown its dividend much faster than inflation (11.3% per year over the past 20 years), this inflation-adjusted yield on cost is likely to only increase over time. In other words, if you have enough time (10+ years) or a large enough portfolio that you can live off the dividend stream alone, common stock (in a high-quality company) can be a better choice for building wealth and rising income. As we’ve seen, bonds have seniority over all forms of equity (both preferred and common) when it comes to getting paid back in the event of a business failure. This is necessary in order for companies to attract investor capital to raise debt funds, due to the differences between preferred shares and bonds. Since bonds are at the top of the capital stack (i.e. they have seniority in payments), they generally have lower interest rates than preferred shares (assuming an investment-grade credit rating). In addition, bonds have a fixed interest rate, meaning that inflation and rising interest rates pose a threat to the intrinsic value of a bond. Here’s how it works. Suppose you buy a 30-year U.S. Treasury bond, which currently yields 2.95%. This means that you will receive $295 in interest, paid twice a year, for a $10,000 bond. If you hold the bond until maturity, then you will get back your original $10,000, although the earnings power will have been reduced by 30 years’ worth of inflation. Assuming 2% annual inflation (what we have experienced in the last decade), this means that the value of that $10,000 will be reduced to $5,500 in today’s dollars. But remember that bonds represent the largest and second most liquid market (behind currencies) in the world. Every day hundreds of billions of dollars in bonds are traded around the world. That is because many people and institutions (such as pension funds and insurance companies) can’t afford to wait 5, 10, or 30 years for a bond to mature. They are willing to sell the bond early at the market price. When a bond is not held until maturity, the investor faces interest rate risk. Specifically, rising interest rates reduce the market value of a currently held bond and can result in losses if the bond needs to be sold before it matures. For instance, say you bought that 30-year U.S. Treasury bond at a 3% interest rate. If interest rates increase in the future, then in order to sell that bond early to someone, who now has the ability to buy a fresh, higher-yielding bond, you need to offer it at a discount so that the effective yield matches that of new bonds. In general, for each year of duration of a bond, a 1% rise in interest rates will reduce the market value of the bond by an equivalent amount. For example, a 1% increase in interest rates would likely result in a 30% reduction in the value of your 30-year bond. With interest rates now at close to their all-time lows, this means that bonds represent a large risk of unrealized (paper) losses, since interest rates have little chance of going much lower. However, because preferred shares are generally “callable,” meaning that the company can buy them back at the issued par value, they are generally less sensitive to interest rates than many bonds. Unlike bond interest, which is generally taxed as ordinary income, most (but not all) preferred stock dividends are taxed as qualified dividends, which means at the lower capital gains tax rate. However, if owned in a tax-deferred account, such as an IRA or 401K, then these dividend taxes can be deferred until you withdraw funds from your account. Investors should note that preferred shares issued by REITs and other pass-through entities do not enjoy qualified tax status, and their dividends are typically taxed at ordinary rates. Selling preferred stock can result in a capital gain or loss that needs to be reported for tax purposes. 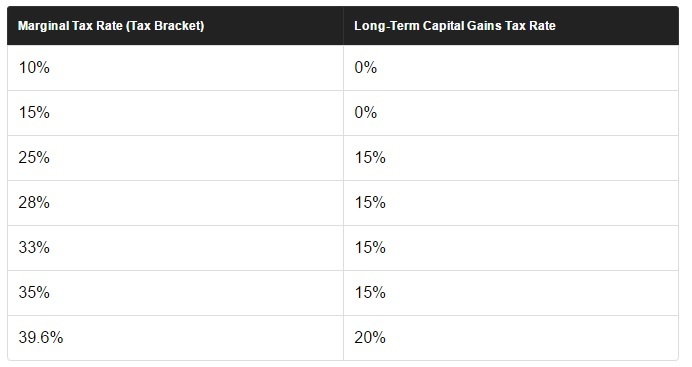 The tax treatment of such gains and losses is the same as it is for sales of common stocks. There are two ways to invest in preferred shares, individual securities or an exchange traded fund (ETF). 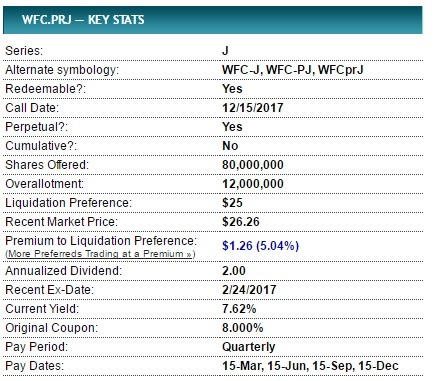 Just as you would a common stock, you can use any broker to buy preferred stock, such as Wells Fargo 8.00% Non-Cumulative Perpetual Class A Preferred Stock, Series J (WFC.PRJ), which currently trades for about $26 per share and has an effective yield of 7.6%. 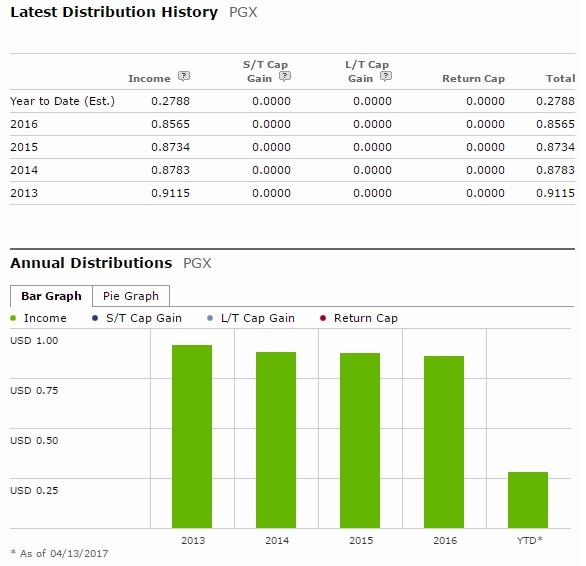 Or you can choose a diversified approach by purchasing an ETF such as PowerShares Preferred Portfolio (PGX), the iShares S&P U.S. 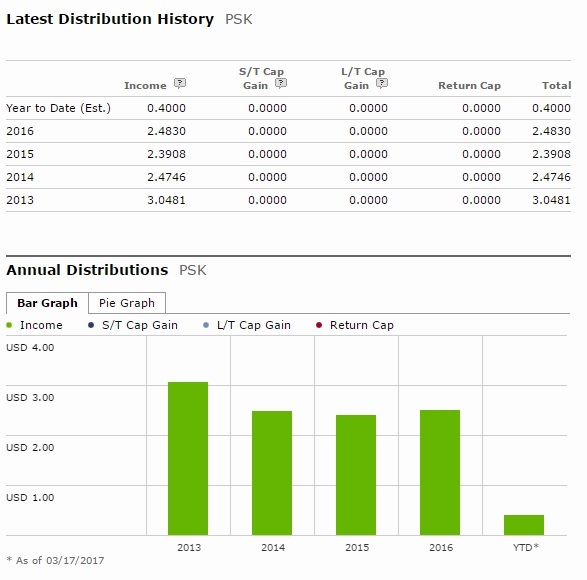 Preferred Stock Index Fund (PFF), SPDR Wells Fargo Preferred Stock ETF (PSK), or iShares International Preferred Stock (IPFF). However, while the high yield of preferred shares may make them appear enticing, there are several risks to be aware of before investing your hard-earned money, whether you decide to buy individual preferred stocks or an ETF. It’s very important for income investors to realize that preferred stock investing can be far more complex than owning common equity. For example, there are numerous kinds of preferred shares with differing characteristics that you need to keep in mind. Going back to our example, using Wells Fargo class J preferred shares, we can see that there are several factors that may make this class of stock more or less appealing than the company’s common equity. For example, the $2 per share dividend is fixed, meaning that even if the bank’s earnings soar thanks to rising interest rates (and its common dividend rises), your dividend payments won’t change. However, with a 7.62% current yield, these shares certainly offer very attractive income. In addition, the shares are perpetual meaning that, theoretically, Wells Fargo may allow them to continue existing indefinitely, which would be appealing to investors who need high immediate income for long periods of time, such as retirees. But at the same time, the shares are callable past December 15th, 2017. This means that Wells Fargo has the right to buy each share back (and retire it) at the par value of $25, 4.8% below the current share price. And given that the high yield on these preferred shares means a much higher cost of capital than what Wells Fargo can find in other capital markets, it is very likely that it will choose to buy back these shares. This means that, with only $1.50 in dividends guaranteed before the bank is likely to call these shares, your effective cost basis is $26.26 (current price) minus $1.50 (future dividends) = $24.76. 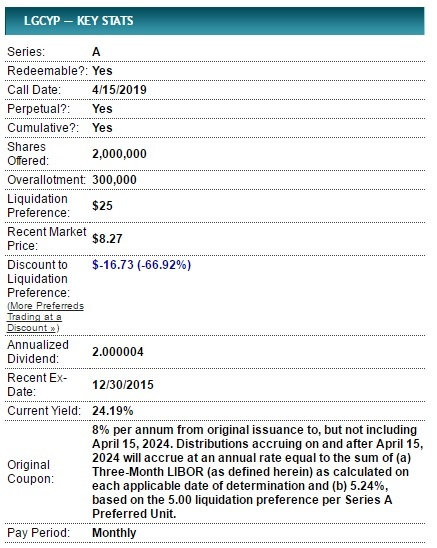 With the call price of $25 per share, that means that if you hold these shares until their call date and Wells Fargo buys them back at $25 (which is likely), then you will have earned just a 1% return over 6.5 months, or an annualized return of 1.85%. In addition, even if Wells Fargo doesn’t buy these shares back, keep in mind that preferred shares aren’t necessarily guaranteed a dividend. They are merely the first shares in line to receive dividends first if a company decides to pays a dividend. Now Wells Fargo is a very strong company with an excellent balance sheet, reducing the chances of the company having to cut or eliminate its dividend (barring another financial crash). However, some preferred shares are issued by far less financially stable companies. Take, for example, the highest-yielding preferred stock you can buy today, that of distressed oil producer Legacy Reserves (LGCY). Its preferred stock goes by the long-winded name Legacy Reserves LP 8% Series A Fixed-to-Floating Rate Cumulative Redeemable Perpetual Preferred Units (LGCYP). While the monthly high yield offered by these shares may appear attractive, the sky-high yield (over 24%) should send up several red flags. The yield is only so high because the market price of these preferred shares are extremely low, thanks to the worst oil crash in over 50 years, which has driven Legacy to the point of bankruptcy. As a result, the company’s preferred shares haven’t paid a dividend since the end of 2015. While they are cumulative, meaning that, theoretically each share has $2.67 (and growing) in future dividend receivables, that’s only true if Legacy Reserves is able to overcome its mountain of debt and become financially viable enough to ever pay a dividend again. Even if it is, after April 2024 the fixed dividend will become floating, equal to 5.24% + the 3-month Libor (London Interbank Offered Rate), which stands at 1.17% today. Basically this means that the dividend, assuming they ever pay it, will decrease in the long-term future. Of course, given the high likelihood that this company will end up bankrupt, in which case the bondholders will get first dibs on any assets, Legacy Reserve preferred shareholders are taking a huge risk that they will be left with nothing. While these two examples are two extremes on the opposite side of the quality spectrum, the point is that anyone considering buying preferred stock needs to be willing to do a lot of homework. First, you need to understand exactly how the preferred stock is structured (cumulative dividends or not, callable or not, perpetual or not). Next, you need to dig into the company’s fundamentals to make sure that the sales, earnings, cash flow, and balance sheet are strong enough for the company to survive and, most importantly, be able to pay a dividend at all (our Dividend Safety Scores can help). In other words, you have to think like a bond investor, willing to put in the time to perform due diligence and determine whether or not a particular preferred share is worth buying based on your individual needs. Most investors don’t have the time or expertise to do this. But what about preferred share ETFs? They offer an easy and diversified way to benefit from the high-yield world of preferred shares, right? Not necessarily. As you can see, while both preferred share ETFs offer attractive yields, they also have relatively high expense ratios (for ETFs) that lower their effective yields by about 10%. Worse yet? Because around 20% to 25% of each ETF is invested in sub-investment grade assets, the dividends paid by such ETFs can be volatile and have been gradually declining in recent years. 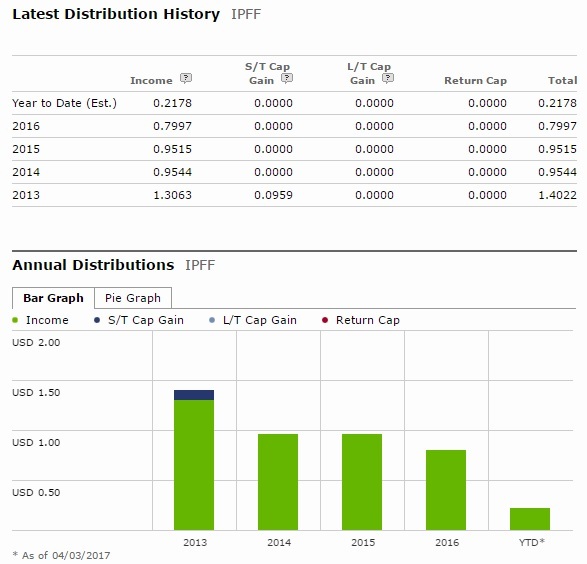 Given that these 3 ETFs, which represent the gold standard of dividend growth ETFs, offer lower expense ratios, steadily rising dividends, and superior total returns over time, each makes a far better long-term income investment than any preferred share ETF. Or to put it another way, there aren’t many good preferred share ETFs to choose from for investors seeking a balance between current income and long-term total returns. Any investor wanting to invest in this asset class (without hurting long-term returns) will need to take the research time to pick individual securities. Finally, investors need to make sure they are not betting too much on any single industry with their preferred stocks and preferred ETFs. 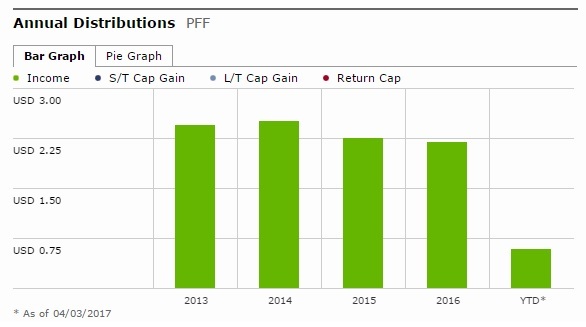 Most ETFs, for example, are filled with financial firms (see below). The banking sector was rocked during the financial crisis in 2008, causing the value of these preferred stocks to plummet. Many preferred stocks lost more than 50% of their value during this time, whereas high-quality bonds did a much better job of preserving investors’ capital. 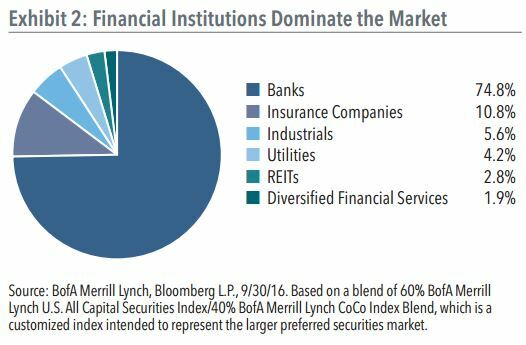 Banks are much safer today (and stand to benefit if interest rates rise), but making sure to maintain a reasonable amount of diversification in an income portfolio is still a good idea. Given the number of risks involved, financial services firm Janney Montgomery Scott recommends an investor allocate no more than 10% of whatever amount they would put in fixed income securities in preferred shares. While certain high-quality companies offer attractive preferred shares, successfully navigating the complexity of this asset class requires a great deal of time and research that most investors don’t have or are unwilling to devote to investing. 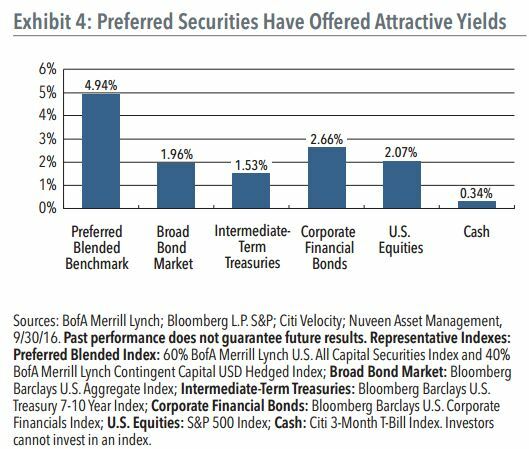 Compared to many bonds, preferred stock offers a number of appeals, including higher yields and a more favorable tax treatment. For current income seekers looking for bond alternatives and additional portfolio diversification, certain high quality preferred stocks can make sense as part of a fixed income portfolio. However, be aware that they contain a number of unique risks – don’t let their “preferred” name trick you into thinking that your money is safe or guaranteed. Alternatively, similar yields can be found in high-quality Real Estate Investment Trusts (REITs), such as Realty Income (O), Omega Health Investors (OHI), W.P Carey (WPC), Ventas (VTR), and Welltower (HCN). While regular dividend growth stocks are more volatile than preferred shares and typically offer lower starting yields, they can represent a more appealing opportunity for investors who prefer dividend growth and desire greater long-term capital appreciation potential.